Carrie is an associate in the Litigation Group, who concentrates her practice on commercial litigation and product liability matters. She represents clients in state and federal court in a wide range of matters, including business torts, product liability, health care disputes, corporate governance matters, trade secret and unfair competition claims, and employment litigation. Prior to joining the Firm, Carrie was a commercial litigation and product liability attorney at a large international law firm. While attending law school, she served as a judicial extern for Vice Chancellor Parsons of the Delaware Court of Chancery. 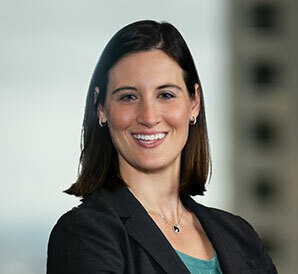 In addition, Carrie also devotes significant time to her active pro bono practice, representing clients in a variety of civil and administrative proceedings.